Although my patterns have recently gravitated to mostly blankets, I actually started out by designing amigurumi. 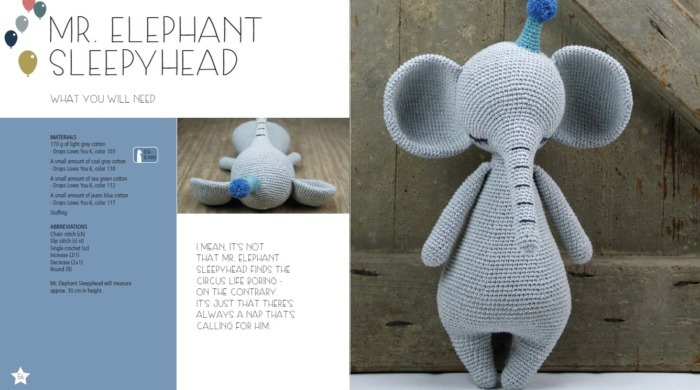 I still have a fondness for all things cute, critter, and crochet, even though I don’t design many (any) anymore. A while ago, I was asked if I would like to review one of the books in this post. I couldn’t decide which one I liked more, so I asked if I could write about all three: Snuggle and Play, Little Happy Circus, and Beetles, Bugs and Butterflies. All three books were published by Sew and So (an imprint of F&W Media International, Ltd 2017). When you see the patterns and the style of the books, you will understand why it was hard for me to choose just one. This book features 20 cute animals and 5 lovies that can be mixed and matched to create an infinite variety of toys and snugglies. 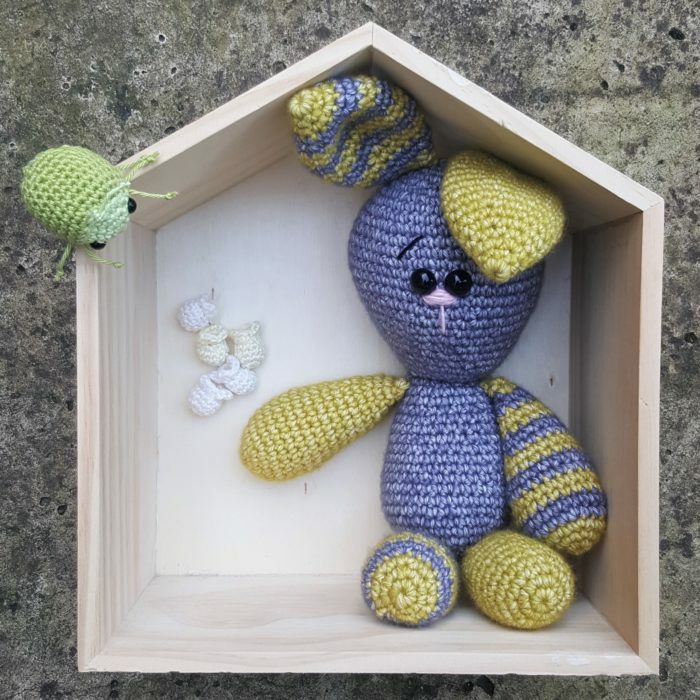 Most of the characters in the book are made using worsted weight yarn and a 4mm hook (US 6/G UK 8), while the blankets are made using a 5mm hook (US 8/H UK 6). The photography is beautifully done and there is lots of white space, which makes the book feel unhurried and calm, and showcases the flat lays beautifully. Each pattern contains a clear, uncluttered chart which is easy to follow and compliments the written pattern wonderfully. Each character also has a little bio. Clover the Bunny, for example, “is always getting into trouble for hopping around and making a mess”. I’m a sucker for touches like this! I found Clover (p. 32) quite irresistible, so I decided to make my own using Stonewashed XL. 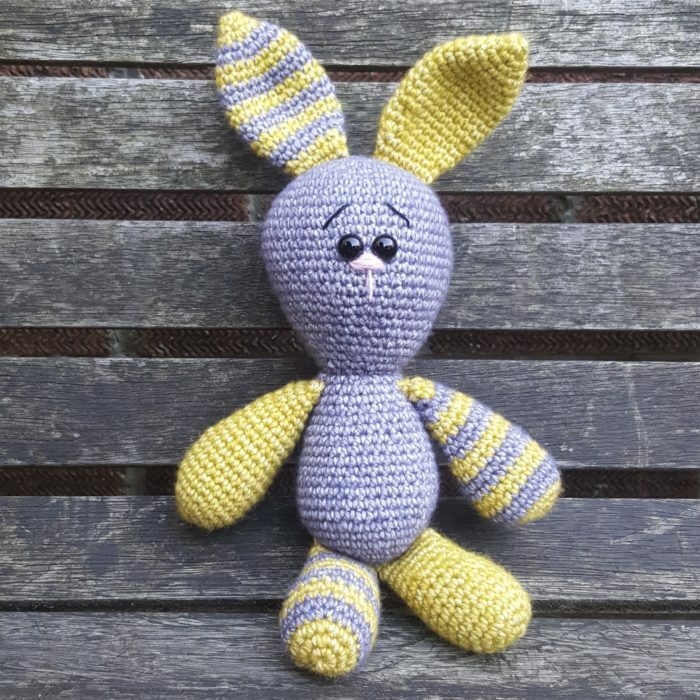 When I finished her (looks more like a him in these colours), Jaco told me that he LOVES the blue and yellow bunny. “It’s grey and greenish yellow”, I said. “No, It’s definitely blue! I’ll call him Blellow (blue-yellow)” This exchange reminded me of my post from last week in which I spoke about how people group colours differently. The 10-page technique section at the end of the book is extremely well done. Easy-to-follow instructions and photos, presented in the same clean style as the rest of the book. On p. 9, there is a little blurb about ‘How to Use The Patterns’. Some of the features of the different characters overlap, so instead of writing the same instructions out a kazillion times, each pattern contains a table that tells you which body parts are required and where you’ll find the instructions for them. This does cause a bit of flipping back and forth, but I found it much easier once I made a little colours-per-round list on a post-it. You can buy Snuggle and Play Crochet on Amazon.com and Amazon.co.uk. Just like Snuggle and Play Crochet, this book has lots of white space. I know this seems like a random thing to mention, but when I buy a book, I find it very hard to focus if everything is squished together and busy. The more space the editors allow for each element, the more relaxed I feel while working on the patterns. Unlike most books that have their technique section at the back, this one has it at the front. Sometimes, the little things make me happy, and this is one of those times. I adore the font used for the headings: playful, uncluttered, and huge! 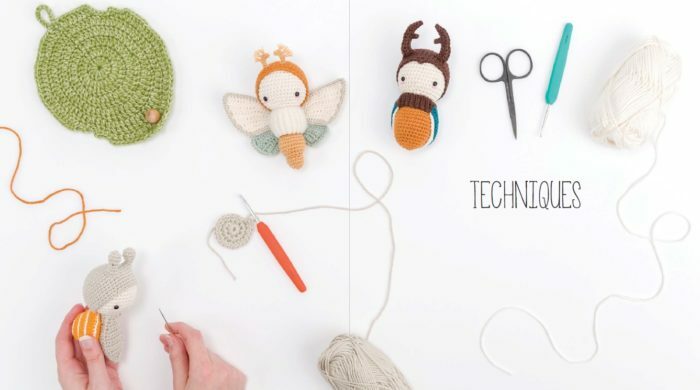 I also love the fact that the techniques section is not called techniques, but rather ‘Crochet School’. The photos in the technique section are clear to follow and beautifully photographed. 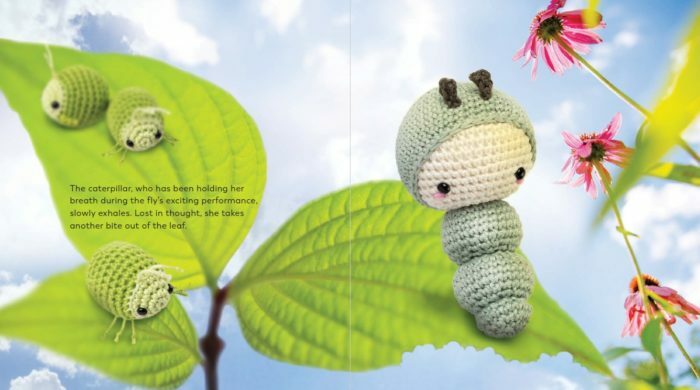 The book has the same playful air as Snuggle and Play Crochet, and each character once again has a little bio. Two Miscellaneous: Garland and Popcorn. Of all the patterns, Mr. Elephant Sleepyhead is my favourite. He is next on my list of things to make. Don’t you just love his curvy hips and his quirky hat? I decided to make some Popcorn (p. 102) for Blellow. 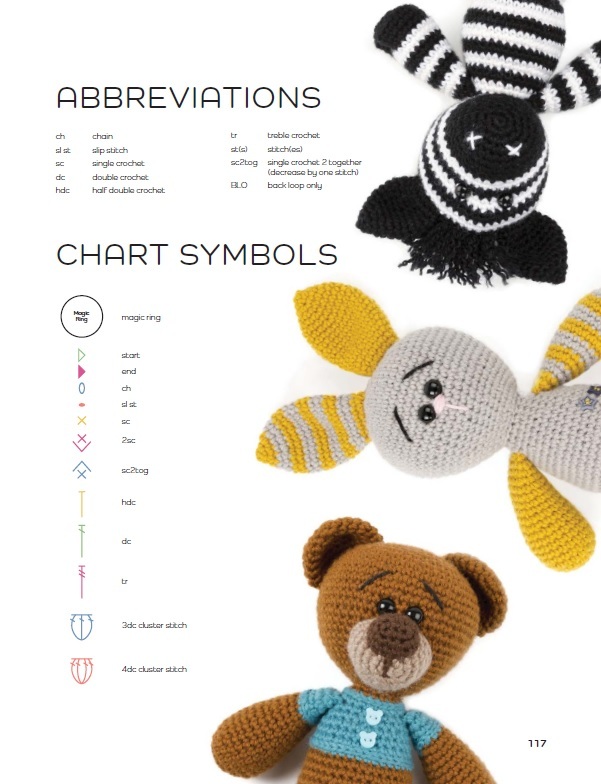 The abbreviations took a bit of getting used to, but just like with any crochet pattern, once you get your head around what means what, it’s plain sailing. I used Catona (101 and 105) for a buttered popcorn feel. 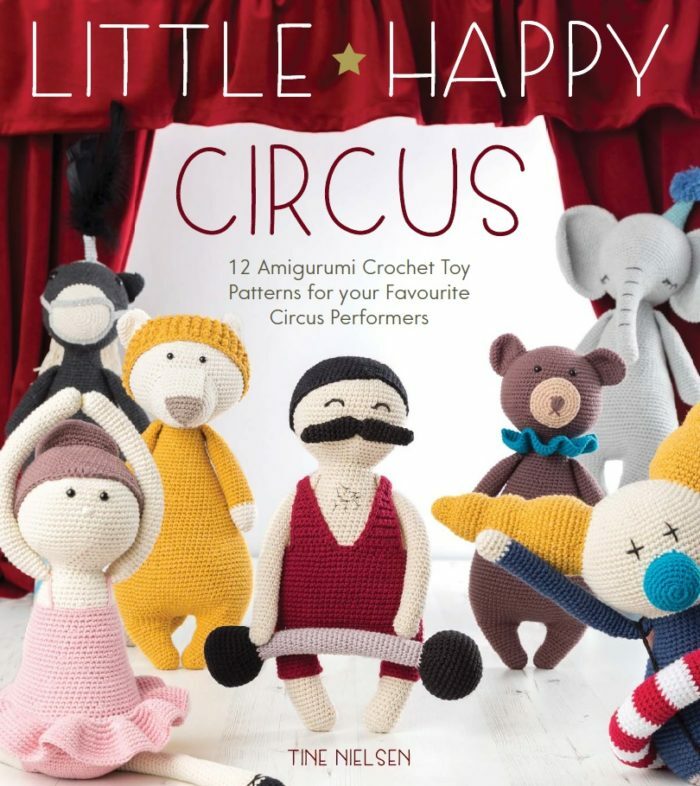 You can buy Little Happy Circus on Amazon.com and Amazon.co.uk. 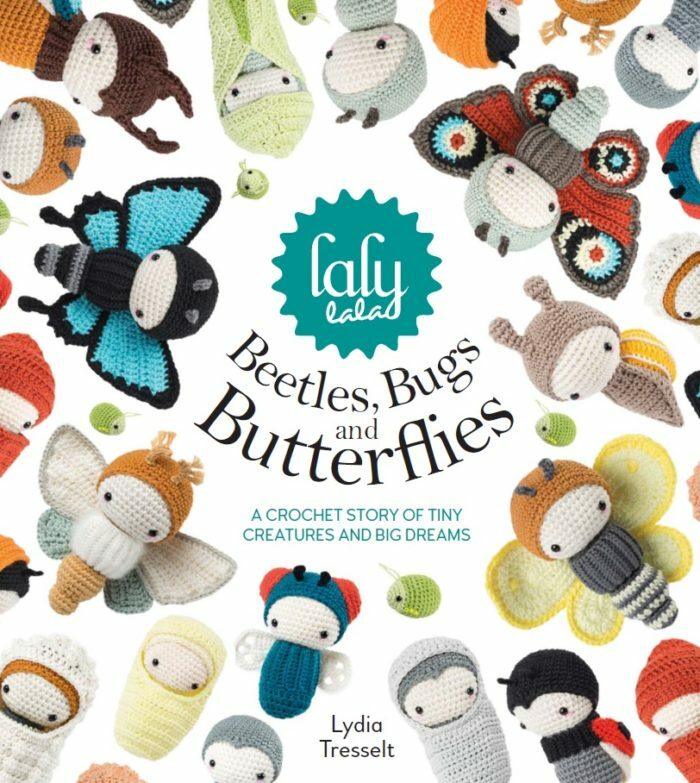 “A Crochet Story of Tiny Creatures and Big Dreams”. Just like the previous two books, this one has much more ‘space’ than text. 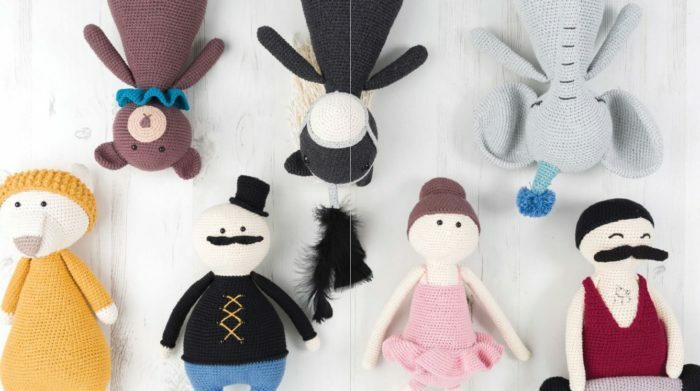 The photography/illustration is cute and playful, showing the tiny amigurumi to best advantage. The first part of the book showcases the different patterns, but not in the way you would expect! It is written/illustrated/photographed as a story, starting on p.6 and ending on p.53. That is followed by a clear and very detailed techniques section (p. 54 – p. 69), which, in turn, is followed by the patterns (p. 70 – p. 123). The patterns are extremely well thought-out and clever. Once again, you can mix and match elements/colours to create a variety of unique bugs. Throughout the book, a helpful little Aphid (pattern on p.118) gives you hints and tips. I couldn’t resist making him in Catona (392 and 512). Now he just needs a name as cool as Blellow. Here you can see him nibbling on my lemon scented geranium. This particular plant is 10 years old (special for many sentimental reasons) and has spawned at least 30 baby geraniums, most of which have been lovingly gifted and two of which stand next to my computer so that I can see them while I work. I couldn’t think of a better plant to photograph him on. Of all the patterns in the book, the Golden Daydream Moth is my favourite. Apparently, this extremely rare species can only be found in Lalylaland. One thing I have to mention (because I can’t not) is that the author is also a crochet walker. 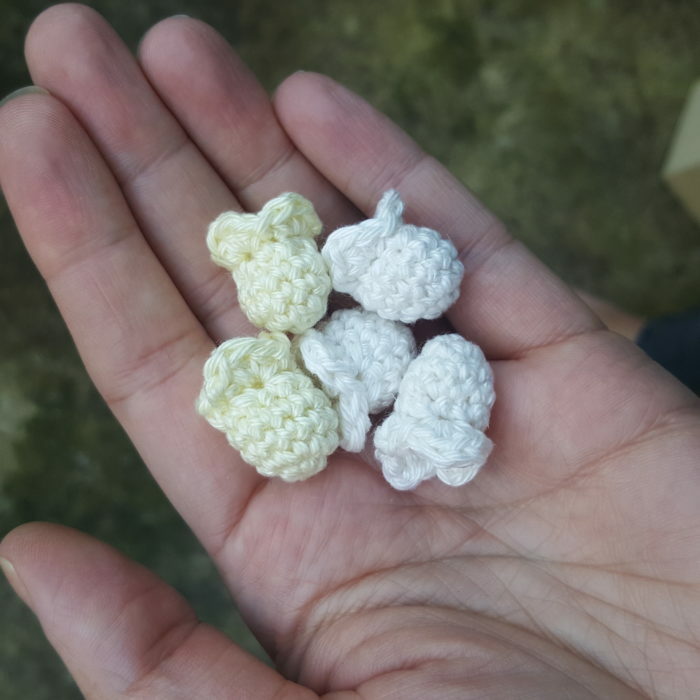 A girl after my own crochet-walking heart. You can buy Beetles, Bugs and Butterflies on Amazon.com and Amazon.co.uk. I hope you have found this review useful. I know, I know, the Christmas wish-list just gets longer and longer, but isn’t that a lovely problem to have, being spoilt for choice? Oh the bugs, that’s just what I needed to get me back in the mood for crafting! Thanks so much for sharing all three. I’ve ordered the lalylala to be send directly to my kindle, I couldn’t wait for the mail! What a wonderful review and I wouldn’t have been able to just pick one either..
Have you made some yet?? I’m sorely tempted to make a bug or three. I just love Bellow. Your review of the three books makes me buy them all. 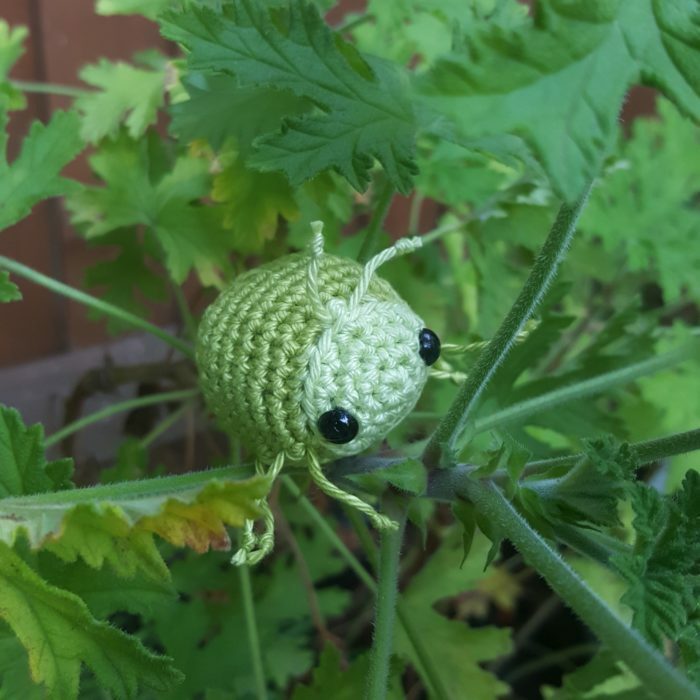 I make amigurumi to raise funds for the Knit-a-Square charity organisation, and there seem to be some great ideas there. Blellow is still going strong. It’s odd how some items just stick with kids. Jaco is in love with that toy. One of the most fun book reviews I’ve ever read! Thanks! One thing you didn’t mention — do the books use US crochet terms or UK? Love your reviews Dedri! Very fond of your Blellow, and Love to discover the Lalylala book! Hi Simone :) Lalylala is amazing! And Blellow (much as I love him) has become a bone of contention. Now I have three boys fighting over one toy!! Every night!!!!! What sweet patterns! 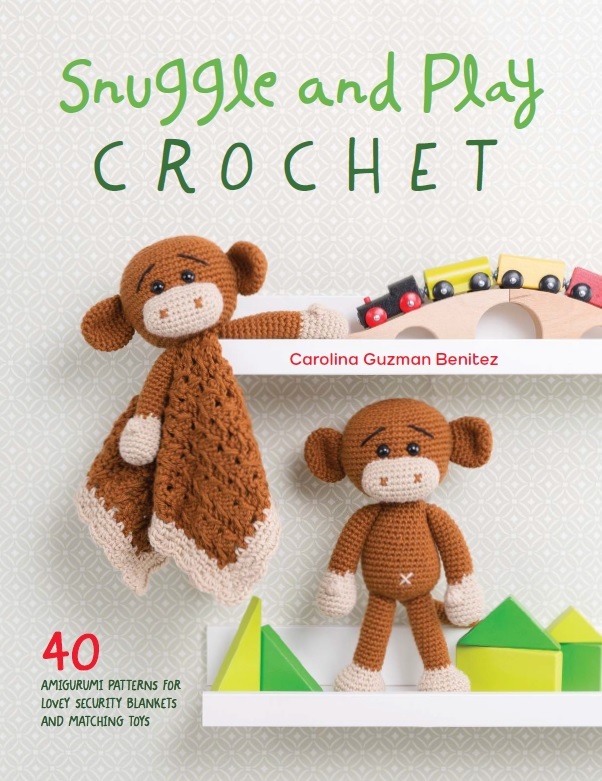 I have to laugh, though – when I clicked on the title of this blog post I was thinking “crochet books – what a cool idea – books that are crocheted” – thinking like a type of soft book… silly me. Still, I may go ahead and follow my thought and see where it takes me! Haha, I hadn’t even thought of it like that. 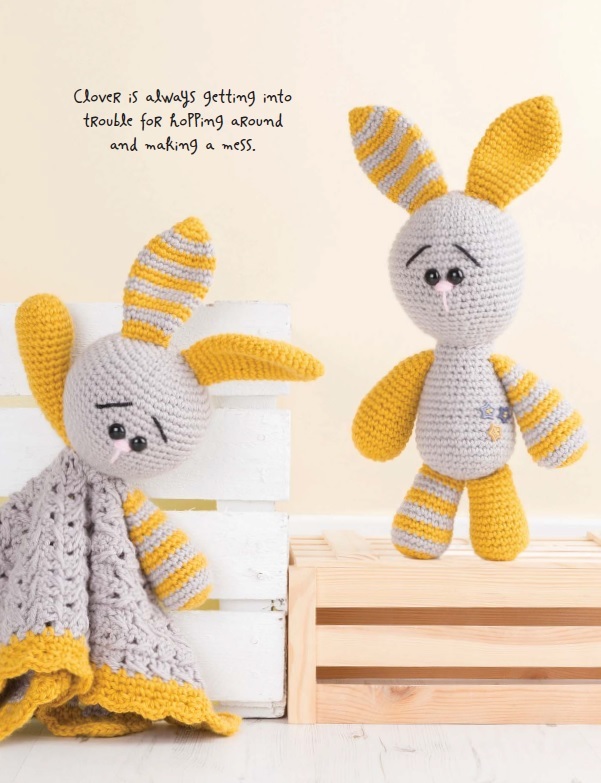 If you are looking for actual crocheted playbooks, Creative Crochet Workshop has some really cute patterns HERE.